James Humphrey is a singer, songwriter, guitarist and pianist. 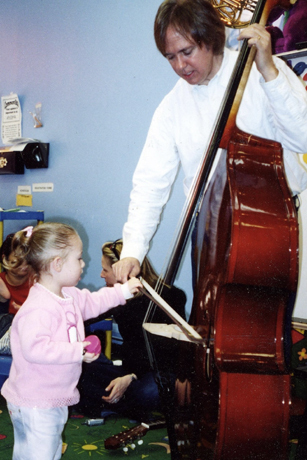 For the past ten years, he has been performing for children's events and leading music classes at numerous preschool programs in Manhattan, including the 'For Kids Only' program at Reebok Sports Club and Sports Club LA, The Kid's Korner Preschool, Saint Joseph's Elementary School, H udson Guild Children's Center, Island Kids (Roosevelt Island), Bright Horizons Children's Center, Vet's Kids, Aleph Bet Preschool of Murray Hill, and the Early Ear. He also gives several annual children's concerts in Manhattan and on Cape Cod, MA. The Music with James program meets in Manhattan's Murray Hill neighborhood and the Upper East Side, as well as Brooklyn Heights, Jersey City, and Roosevelt Island (see Class Locations). ©2015 James Humphrey. All Rights Reserved.